Today, the opening of a new stretch of eastbound Interstate 90 marks the halfway point of the 15-mile improvement project to add lanes, build bridges, stabilize rock slopes, reduce avalanche closures and improve wildlife movement east of Snoqualmie Pass. WSDOT and contractor crews opened two of three new eastbound lanes to traffic last week. The third and final lane is scheduled to open in November. The additional lanes and avalanche bridges will provide a more reliable roadway and the wildlife overcrossing will improve safety and connect wildlife habitat. In 2013, WSDOT celebrated the completion of the first 3 miles of the corridor. The near-completion of this 4-mile section marks a major milestone as WSDOT is halfway to completing the full 15 miles between Hyak and Easton. This 7-mile section of I-90 between Hyak and Stampede Pass, with a total budget of $551 million, was funded by the 2005 gas tax. Contractor crews removed more than 2 million cubic yards of material and poured 153,000 cubic yards of concrete. 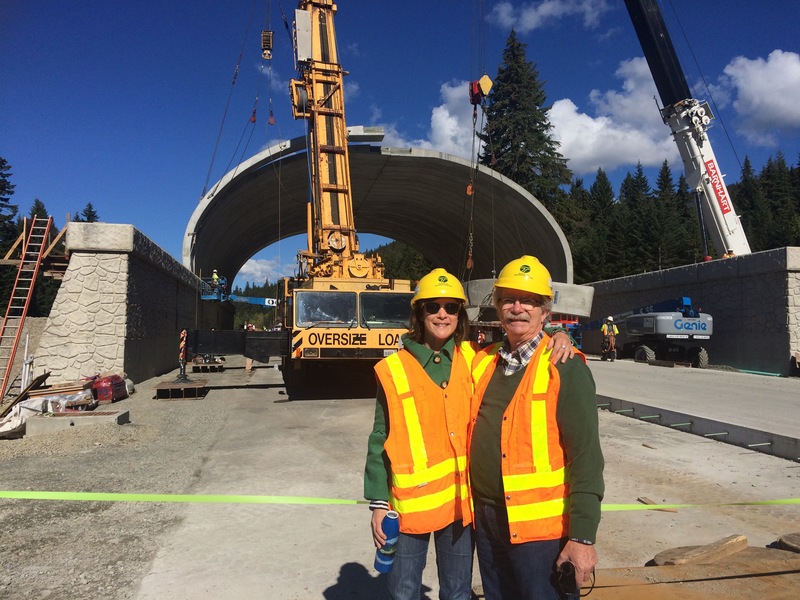 Of the planned 27 total crossing structures in the full 15-miles I-90 Snoqualmie Pass East Project, there are now a total of 6 wildlife underpasses constructed in the I-90 Snoqualmie Pass East Project and planting will begin on the new wildlife overpass in 2019 and 2020. Remote camera monitoring has already shown that these completed structures are increasing safer passage for fish and wildlife. To date, we have seen over 1,300 deer, over 130 coyote and 95 elk use the Gold Creek undercrossing. Construction on the remaining 8 miles of the project will resume in 2021 and continue through 2029. See a full story in the Seattle Times on this project benchmark.